This morning the thermometer was stuck a 0, a bit chilly if nothing else. Snow came down in tiny flakes making a wintery view, like a post card in motion, out the windows. The morning was beautiful. I sipped my coffee and watched winter settled in over the mountain. It seemed at that point I would get a lot done. As soon as coffee gone, the work day began with a few hours at the Buddhist Retreat further up the mountain. Then, fighting with the chain saws, (neither would start) and a debate with a generator that refused too stay running. Too many pull cords for me today. A lot of effort gained no reward, but there will be days like that. Walking away I headed down the mountain and spent the rest of the daylight hours were spent helping put up more of the skirting on the 5th wheel. Soaked from kneeling and sitting on the frozen and snowy ground, my knees hurt as much as my shoulders from yanking on pull cords earlier, I headed back up the cabin. Its cold and the sun is down by 5:30. Tonight the sky dark with clouds so it felt like a rather long hike. 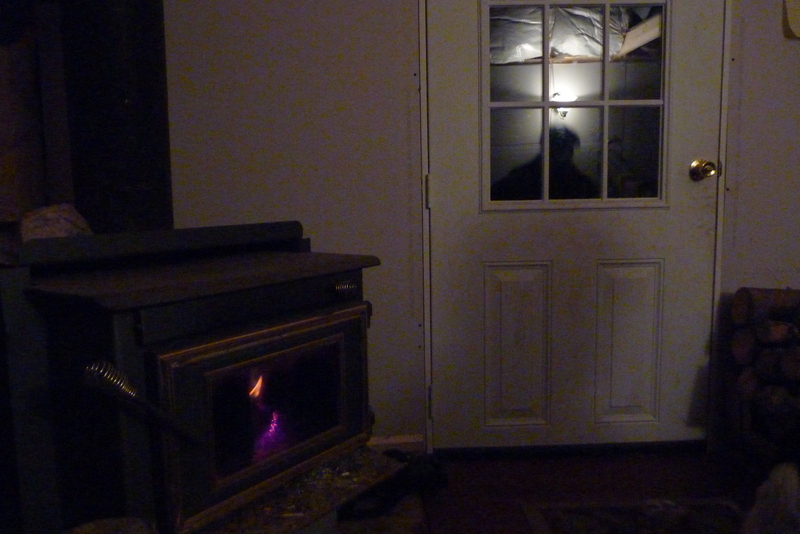 When I got home though the fire place is glowing with deep embers and its warm! Gloriously warm! OZ (my son) has kept the fire going all day and has a bowl of soup ready for me. The Dishes are done and the plants are waters. 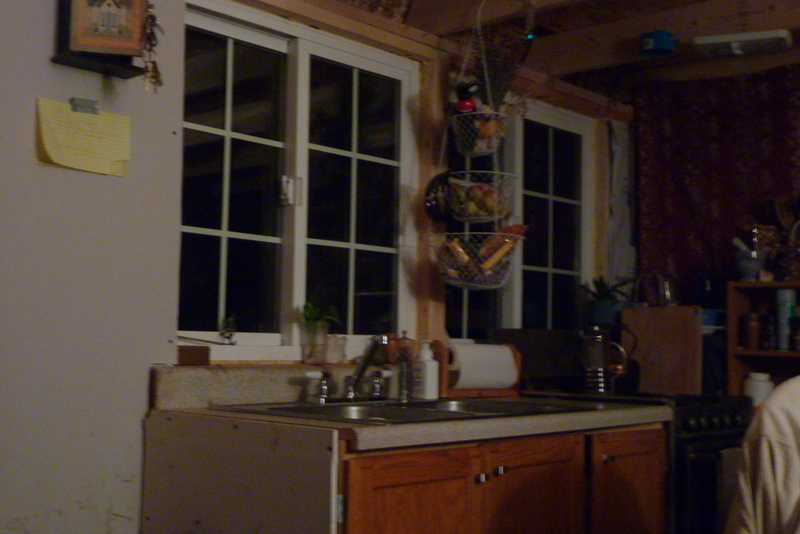 I love my little cabin and what an amazing boy I have. We trek back down, to get online, he has a blog to post as his writing assignment for the day, and I think I’ll post one as well. Then we are headed back up the warm little cabin to play games… Magic the Gathering or Kingdom Builders? Perhaps we will opt to read one of the several books we have open and take turns reading out loud from. This entry was posted in cozy, fireplace, Games, homeschool, little cabin, magic the gathering, montana, warm, winter and tagged board games, cold weather, cozy, fireplace, home school, Kingdom Builders, little cabin, Magic the Gathering, winter on November 15, 2014 by Anjmacz.